This is a blast from the past. Dean stopped by the studio and we had a great time reminiscing. In 1984 Dean and producer Arnie Rosenberg recorded and mixed the song Are You Real at K&R. It has started gaining popularity in Erope. His group was called Bullet Surprise. Click on it to hear the record. That's when we didn't have cut copy and paste. You really had to play it. They also did a commercial for K&R. Just as soon as I can get a clip I will publish it here. The Motown Sound is still strong. Dan Gamlin just released his new single. It should be in stores soon. They recorded it at home and we mastered it. Here is a picture of me at the Detroit North American Auto Show. I was resposible for the Audi main screen President announcement speach picture projection. If I remember correctly the screen was 225 feet 16x9. 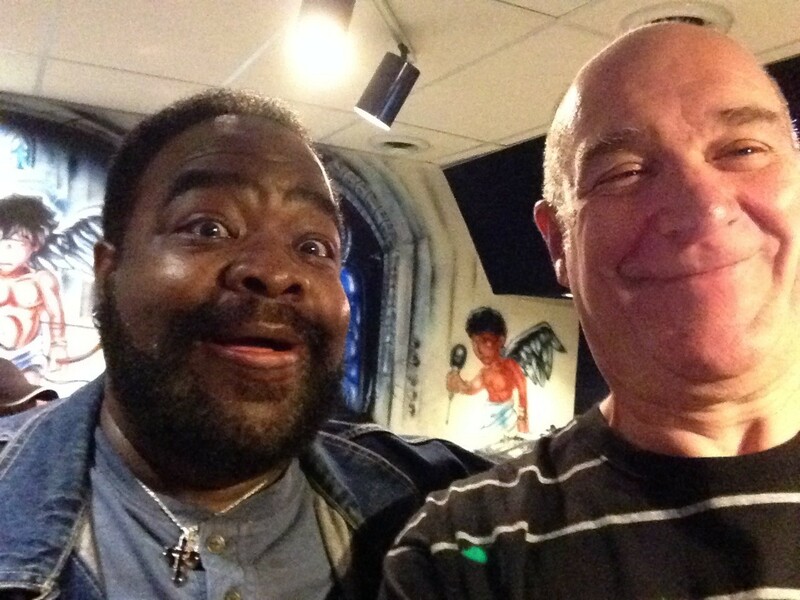 Dave Motley was in the studio. We mixed and mastered a new LP he is releasing. What a great voice I had the pleasure of recording. It is nice to have a professional in the studio. The You Tube link below should take you to a sampler of two of my favorites. With advancements in technologies there's hardly a corner of the planet social media, web, print, audio and film media can't reach. For 41 years K&R helped businesses grow by providing creative media production services addressing corporate branding, marketing and advertising. At team K&R we harness advanced media technologies to create compelling A/V products that entertains, sells for you, teaches for you and motivate potential customers to buy from you. 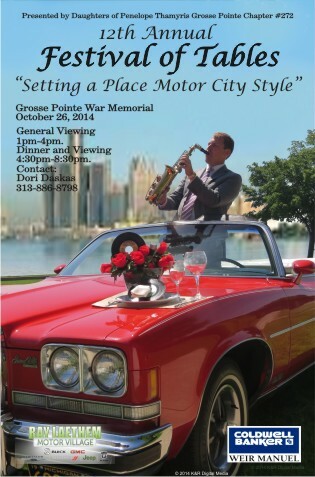 No studio in the Detroit area is more comprehensive than K&R. More than forty years in the studio business enabled us to accumulate an unparalleled knowledge with a collection of both vintage analog and modern digital equipment. You never get a second chance to make a first impression. Packaging and promoting your product is as important as the product itself, and the very first contact you have with your audience. There are no boundaries between audio, video, film, web content, and art work. We have the creative design team that can creat your branding images--all done right here in one place. Every project is unique. We focus on each client, whether you are a new business or a corporate leader, K&R puts you first. With over 30 years of ad agency support experience, we have the expertise to do your project right, every time. Whatever your primary objective, our production services are at your disposal 24/7. We take responsibility, because our business is your business success. The K&R family of services will support you in defining your business goals and how your ideas can best be brought to life. Then we put our experienced production people to work so you get the product, that maximally meets your business objectives. Finally, we edit and polish the raw materials into a finished masterpiece, ready to reach your target audience. We are currently gathering information on how to finance your film. We Record, Mix and Master audio for Web, CD, Film, Video and more. Stereo LoRo, 3.1, 5.1, LtRt, analog 24 tracks video synchronized with digital Pro Tools sessions are all in one place. We are cloud based for world wide connection to any studio in the world. Produce and direct a session from your home live. Two, four, eight, sixteen and twenty four tracks are on location ready. Big Muff fish pole, lavalieres, splitters, Apple iPad synchronization with logging for synchronized action will help make your movie sound track excellent. Critical sound management begins at the shoot and continues through to post production. We provide turnkey sound deliverables for your project that conforms to current sound standards. Produce at K&R From Your Home? K&R has the ability to keep you present in the studio through our high speed video internet connections. Produce and direct from the confort of your home no matter where you are in the world. Replacing bad audio and sound design is what makes your picture sound real. Proper recording and mixing of dialog, sound effects and mood music are critical. We conform your picture to current loudness laws. Let K&R be your sound manager. Mood music is also an important part that sets the tone of the scene. We were responsible for commercial music projects like Little Ceasars and Tubbies as well as film mood music. Proper recording and mixing of dialog, sound effects and mood music are critical. A tuned room is needed to make the sounds you've worked so hard on come to commercial life. Simple adjustments typically correct a poor mix. It is too often that no consideration is given to film sound until it is not there. Don't lose your target audience with a bad mix. K&R can provide discrete audio through 7.1 to DCP standard theater ready deliverables. K&R Masters when Mixing, saving costs. One copy or thousands of copies, because we do large corporate replication and duplication we can offer some of the best prices for copies of your program. Check the Web-Design-Art section. If we create the master the duplication is at our cost and the manufacturing is supervised by us. Are you looking for that perfect voice or that odd instrument? Do you know who you want but can't reach them? Maybe you're not sure where to start? 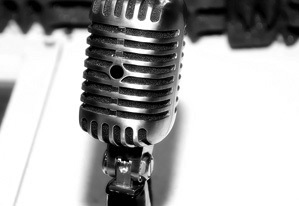 The best in radio personalities, narrators, musicians, actresses and actors are right at your fingertips here at K&R. Our high speed internet connections brings the world to you. Let K&R help plan your next film project. We can fit your budget. 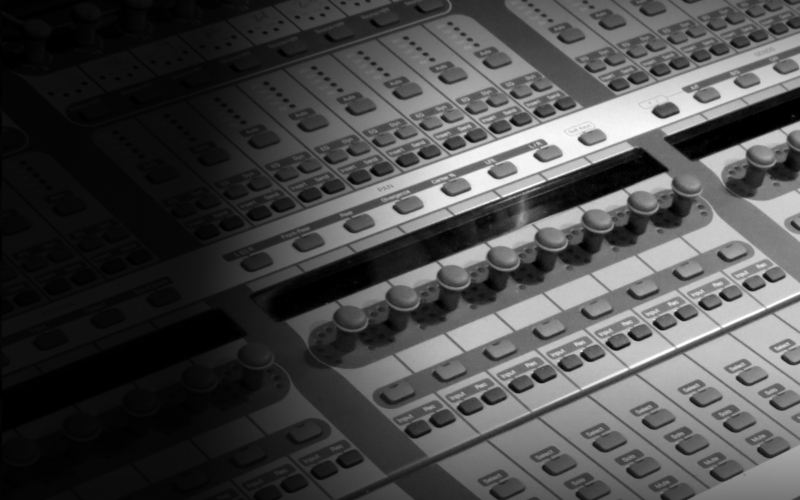 We Record, Mix and Master audio for Web, DVD, film, trade shows, video and more. Stereo, 3.1, 5.1, analog 24 tracks video synchronized and digital sessions with Pro Tools. It is what we do. We shoot , edit, animate video, add motion graphics to video and video for film projects as well. Start off on the right foot. Let K&R help you with the hard to get special geer you need to do your film. Need a Sound crew or Film crew, a RED or a scrim, maybe a cable, C stand, lens or a SD card? Try us. Being in the business for forty years in Southfield gives us an advantage in finding what you need. We just might have it too. Let us manage your project. We Record, Mix and Master audio for Web, CD, Film, Video and more. Stereo LoRo, 3.1, 5.1, LtRt, analog 24 tracks video synchronized with digital Pro Tools sessions are all in one place. Bring us your multi track recording just to see how it would sound in a tuned listening room. It is free. Two, four, eight, sixteen and twenty four tracks are on location ready. Big Muff fish pole, lavalieres, splitters, Apple iPad synchronization with logging for synchronized action will help make your movie sound track excellent. Critical sound management begins at the shoot and continues through to post production. We provide turnkey sound deliverables for your project that conforms to current legal sound standards. 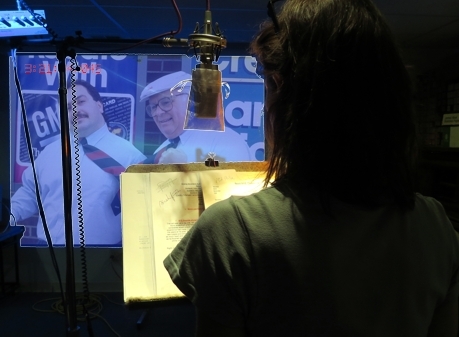 Replacing bad audio and making your motion picture sound real is critical to a good film. Proper recording and mixing of dialog, sound effects and mood music set to legal standards will make a good film great. K&R has established a great reputation on Lip Sync translations. We work with Dr. Mariano Polaris who knows what it takes to translate the emotion and the meaning of the conversation. It is not just the words. Mood music is also an important part that sets the tone of the scene. We were responsible for commercial jingle music projects like Little Ceasars and Tubbies as well as film mood music. Check our video gallery. 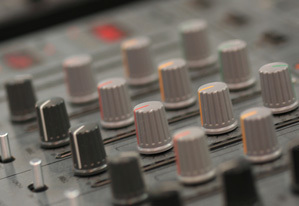 Proper recording and mixing of dialog, sound effects and mood music are critical to a successful video film production. A tuned room is needed to make the sounds you've worked so hard on come to commercial life. When we mix we master. Simple adjustments typically correct a poor mix. It is too often that no consideration is given to film sound until it is not there. Don't lose your target audience with a bad mix. K&R can provide discrete audio through 7.1 to DCP standard theater ready deliverables. 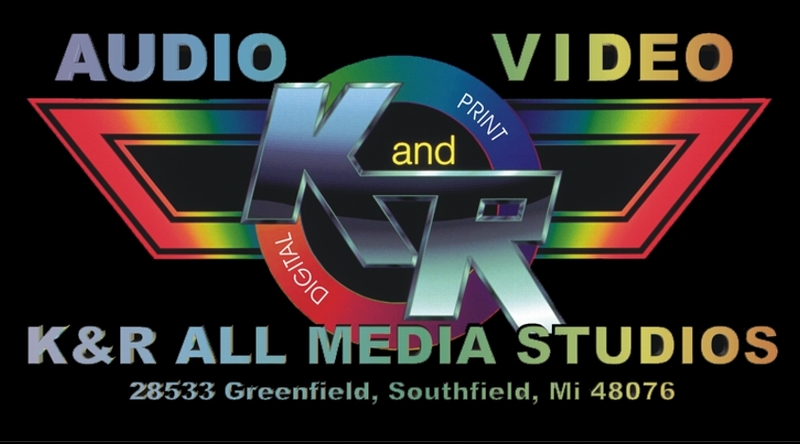 K&R truly is the ALL ALL Media Production Service your business needs. 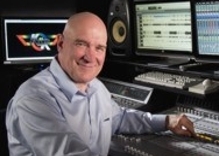 I'm Dan Hanley engineer and producer. I've been a musician, songwriter, recording engineer (graduate of the Michigan Recording Arts Advance Classes taught at K&R), publisher, producer for longer than I care to say. I found out the writing of music is the easy part. It's getting someone to listen. That's the hardest. I decided when I got into the music business, I would put everything I have into getting the right people to listen to my work. So when you record at K&R it doesn't stop there. It's just the beginning. Let me show you what I found at K&R All All Media Services. First and foremost I am a music producer, songwriter and audio engineer. I completed the advanced recording classes at Michigan Recording Arts. I also have a background in sound design, sampling design, sound fx, movie scores, voice overs and commercials. When it comes to music production the sky's the limit-rock, pop, Latin, hip-hop, acoustic or jazz. 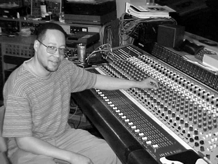 Credits includes works with Detroit legend Kim Weston and gospel powerhouse Fred Hammond.Now teamed with K&R studios, let me produce for you. At K & R All Media I am responsible for 'HD quality' digital audio, digital video, for all corporate, commercial, advertising, and consumer promotional and educational applications. From concept to production, distribution and fulfillment, K&R gets the job done. I provide audio video computer electrical technical support services to K&R. My client responsibility is to help you visualize your business for today's world. My passion is Foley, ADR, new music, and sound design for all media. 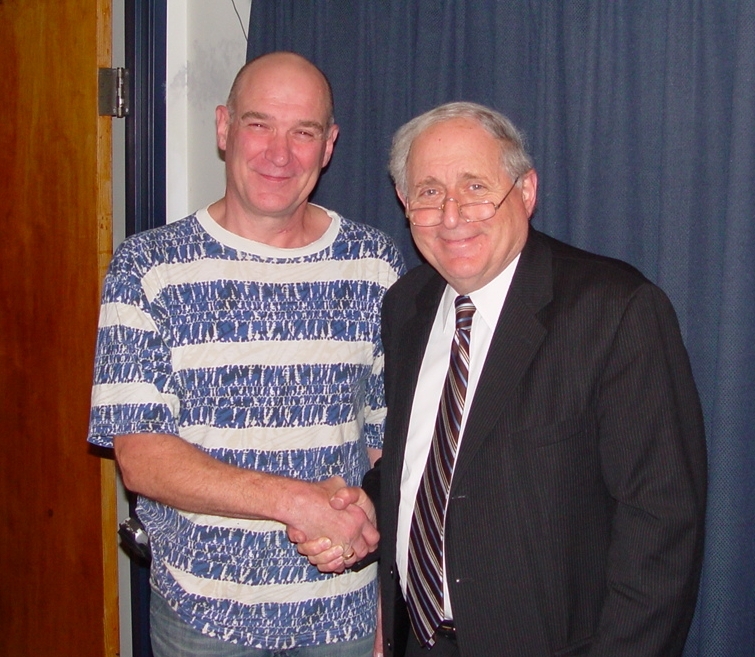 In addition to my forensic work and K&R Media, I teach real engineering at Michigan Recording Arts. AT MRA, students learn what the zero means on a VU meter. I am available for student inspired lectures. Our studio has a variety of vintage and modern microphones, current digital and analog equipment, and MIDI instruments. Whether you want a full blown production or maybe you just want to hear yourself mixed in our tuned mastering room, K&R can do it. 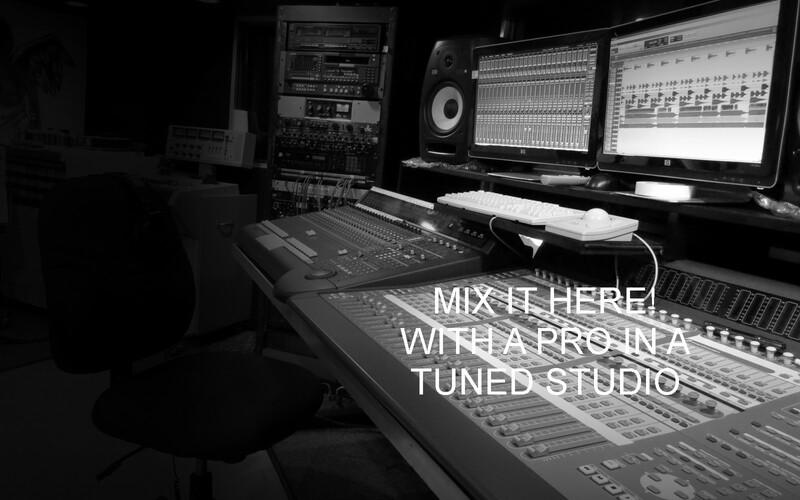 Don't pay for mastering when you know mixing is mastering when done in a balanced surround sound control room. Why pay twice. We eliminate the cost of mastering. Need the memorable jingle? Or mood music for a film you are producing. K&R knows what it takes to make that happen. We have done work for Little Caesars, Deithrich Furs, Tubbies, Sears, and many independent film makers. Check our video gallery. ADR is a technique for replacing or inserting new dialog. Maybe it was not correctly recorded on the movie set. For example, in an industrial scene, the distracting "Factory Noise", may interfere with the recording of dialogue. That creates a need to replace the sound with dialog recorded at K&R. Another example would be lip synchronized language changes. (See our Video Gallery) Once the voice is recorded (ADR), the sound effects are added such as walking, street noises, factory noises but under our control. That is Foley. Call us to get the specifications on file formats we need to give you flawless film layback. If time is of the essence, let K&R do the theater DCP build. We have just about every consumer and commercial track format so we can get the best out of your originals. We have baked many tapes and did mixes on some cool vintage bands too. 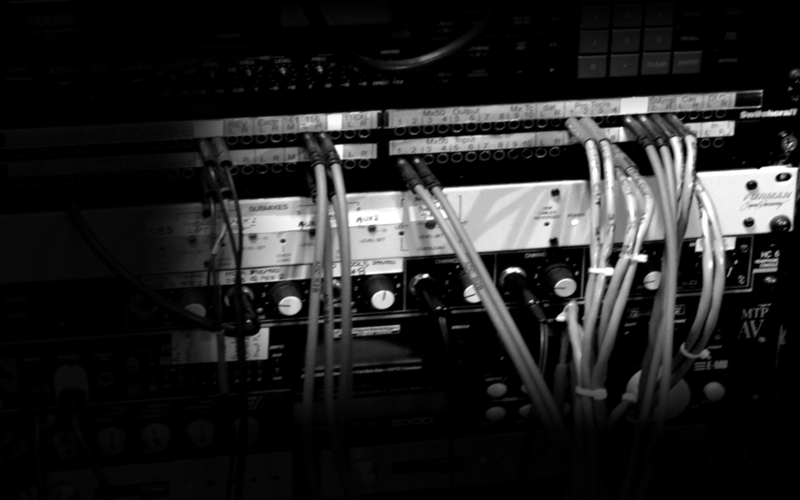 In house or On line Multi-Track Mastering will improve your mix. It's important to have a good listening room that's been tuned to the British standards. That helps in spotting errors that could keep your recording from being a hit. If you ask we can critique your recording track by track so that you could make better recordings. You'll be working with experts in your genres, so why not ask. K&R has a variety of vintage and modern microphones, digital and analog equipment and MIDI instruments to enhance your mixes. Musicians and voices are easy for us to find. What would you like? With our high speed internet cloud connection we can have just about any world wide talent live during your session. From time to time we get asked to provide talent using our cloud too. Maybe you should consider recording here. Computer advanced technologies have brought together all media types. Once captured, files can be formatted and placed in all all media types. 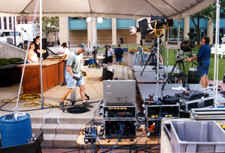 There's no need to go to different service bureaus to complete a production when all all media can all be done at K&R. Call us to find out how we can save you money on every project using new and advanced technologies. For example an audio or video production made here can easily be made web post and PDA ready. 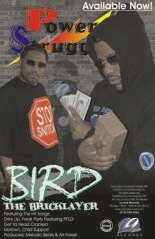 Then we can post it to your host or promotional site like Vimeo and CD Baby. Need a host (web page) to promote your project? We can do that too. Once our design team creates a cover for your CD or DVD package the artwork can easily be made into a web site, posters or an animated video for web, PDA and broadcast TV. The computers at K&R have no boundaries. They truly are limited by your imagination. So often we hear horror stories about how ones web site needs to be up dated. Once you have product to promote you definitely want potential clients to see you in good light. When audio, video and print is done here, it is easy to create a web presence. There is definitely a savings in time and that translates into dollars. We can show you how we can format your web presence to fit on your cell phone or PDA properly. Even if you do a portion of your project at another facility, maybe your home, K&R can easily interface and professionally bring it to completion. This allows us to bring a level of sophistication to your project which others can’t. Additionally no mater where you are in the world, you can sit in and watch as we mix and edit your tracks - live through SKYPE. When finished you can have your session instantly uploaded to a server of your choice for you to download immediately. Mobile apps let you connect with your customers and employees in ways previously unimaginable. Increase loyalty, improve the sales process, stay top-of-mind, with mobile apps developed by K&R. Whether it be a web app or native app, we'll help you dream up and roll out the app you need to gain an edge. Mobil apps can be used for Mobile Websites, Sales Force Enablement, Promotional Contests, Customer Loyalty Incentives and Onsite Data Collection. A good example would be searching the KnR.Net site with your iPhone. Notice that it has a different set of functions not like the site if you search it out with a standard computer. Finished prices for this type of work vary considerably. We generally prefer to quote the entire project that includes post follow up. So your business has finally progressed to the point where you need to create a web site. Or you already have a web site and are ready for a redesign. But unless you're being backed by a billionaire, chances are you probably need to take a frugal approach. The good news is K&R is here to help. Web development can range from developing the simplest static single page of plain text to the most complex web-based internet applications, electronic businesses, and social network services. Web development may include web design, web content development, client liaison, client-side/server-side scripting, web server and network security configuration, and e-commerce development. Among web professionals, "web development" usually refers to programming. K&R understands Drupal, Java, WordPress and Joomla! We build your brand so you connect with your customers, gain visibility, drive traffic, and generate sales. Put our internet marketing specialists to work. We can fix that mundane web site. Maybe you need an E-Commerce page. Google has statistics that shows those with a video vignette on their opening page increases dwell time and click through rate. Without traffic everything stops. We plan on putting links here of web sites we worked on so you can see our works. I would like to add yours. Links helps your ranking too. Visualize your business! Fourty years of experience gives us a real advantage in providing some of the most creative and stunning designs anywhere. We take into consideration all the formats of printing (screen, laser, offset, shirt transfers, etc) and display types (HD-TV, posters, web, mobile app, etc) ensuring that our work can be replicated in any media. This will save you time and money and gives a consistency to your branding. If you are in a crunch, let us do it for you. If you are planning to have us do the art work and design, please provide us with a conceptual sketch of how you envision the final product, along with the best quality elements you have including high resolution photos and graphics. It helps us "Martian Mind Meld" with your brain so we can best meet your needs. Remember! Junk in is junk out and we want you to look good. We've created this program to service clients who wish to work with an outside designer, or design their projects personally. By sending us a disk of your completed artwork, we can usually offer a faster turnaround and price your package accordingly. Design-supplied jobs are assumed to be accurate and complete as provided. 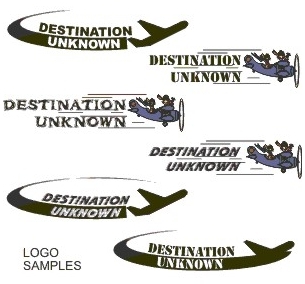 Use our design templates for best results. If you are submitting your project, please be aware that it is your responsibility to submit files for each part of your job. CD and DVD projects normally require a label, if posters or postcards are a part of your package, we will need you to supply separate files for these. While all of our prepress specialists have some design background, our workflow is such that they do not normally create missing parts of your projects. We will check your supplied files and can correct technical errors we discover. We examine every piece of every file to make sure they are ready for professional print production. If we find errors in your files (such as incorrect crop and fold marks, insufficient bleed or safety margins, RGB images, small errors, etc. ), we can correct these for a charge. For small errors we will explain what needs to be done and estimated the cost of implementing corrections. For larger problems, we may ask you for a new file. Please do not be upset if we discover problems. It is our responsibility to make sure we can successfully print your files, and it is as much to your benefit as well as ours that we find any the problems from the outset. If there are serious issues with we will work with you prior to printing. To summarize, it is your responsibility to create all the artwork for your project, to proofread your work to make sure everything is accurate and correct, and to supply us with all the files in the proper format and resolution necessary to print your artwork (fonts, scans, complete layouts for every part of your project, etc.). We will check your files for specifications, to make sure your files are ready for professional film output and printing. Your IP and Contact form was submitted! Thank You! Everybody who does business with us asking for services, hereby acknowledges, understands, has been told, read and agrees to all terms of our "Engineers Contract For Payment" contract as stated herein and that signed or not, our agreement constitutes a legal and binding contract and that the signer is empowered to enter into this contractual agreement. Signing of our agreement also constitutes approval and acceptance of the work and materials referred to in the contract. All sums due under all contracts, are personally guaranteed and guaranteed by those parties whom the singer is contracting for. All contracts are deemed past due if not paid in full, but payable within 30 (thirty) days if credit has been approved. As collateral and until all contracts are paid in full, all rights of ownership to all the work or works, and to what it is attached to shall remain property of K&R's Recording Studios Inc. Any rented equipment not returned by the "in" date will be considered stolen and or missing and the undersigned in addition to rental charges will include the replacement cost for equipment as total due. Commencing upon the 31st. (thirty first) day, any unpaid sums shall be considered extremely and unacceptably past due and bear a 10% late fee penalty plus compounding interest at 1.5% (1.5 percent) per month. In the event of suit to collect past due sums; the undersigned and/or those parties whom they are contracting for, in addition shall be responsible for all court costs, and reasonable attorney fees, profits realized from the use of these works and our loss of business for time spent, but not limited to such. If in the event payment plus penalties are not made in full within 90 days of the date above, all work and what it might be attached to, materials, rights of ownership including any and all copyrights, publishing rights, and royalties present and future, remains the property of K&R's Recording Studios Inc. to be used or disposed of at our discretion in any way. The authorizing signer must notify the copyrights bureau and all involved in writing. The remedy shall be in addition to any balance remaining due and owing. K&R's Recording Studios Inc. specifically reserves the right to use any or all recordings of any type, prints of any type, intellectual materials, computer files, works submitted and or changed by K&R�s Recording Studios, Inc., but not limited to such, past, present and future only for their own promotional purposes. It is further acknowledge that K&R's Recording Studios Inc. will not be responsible for loss or degradation of materials or equipment stored and for any copyright or royalty infringements of reproductions made as a result of this contract and for any work done pursuant there to. Deposits are considered a non refundable and replenish-able retainer for services of holding in reserve a service(s), product(s) to create, or product(s) and is approval to complete such works it was made for. Signing of our contract acknowledges our terms of sale for all future contracts signed or not. These terms can change at out discretion at any time without notice. We reserve all rights. © 2000 K&R`s Recording Studios, Inc. This is page_more waiting for text and not ready. Let us know what you clicked on to get here. We need to know to improve this site. Hit any button on the menu to the left to get back to the cool stuff. Click on contact and let us know. Thanks! K&R has the ability to transfer from any medium to any other. Also we are able to convert file formats to the proper types for editing, web site compatibility and YouTube uploads. Converting VHS to DVD is as common as transferring home movie 8mm, super 8, and 16mm film to DVD. Weather you want one or thousands of copies, K&R can do that too. Small quantities can be produced overnight for that meeting tomorrow morning. Large quantities can be done for fulfillment and sales. K&R Can provide: Crew, Fish Pole, Muff, Senhiser MKH-416, Many Types of Lavalieres, iPad Movie Slate with WiFi camera sync, Horita, Zaxcom, 788T or HSP-82 and all cables to interconnect. We can resolve location sound for your pictures as well. K&R Can provide: Crew, D5 II with all the cables to connect to the above, Tripod. Items like the Red, Dolly, Jib Arms and Lighting, are available. We do provide a small lighting kit with the camera crew. 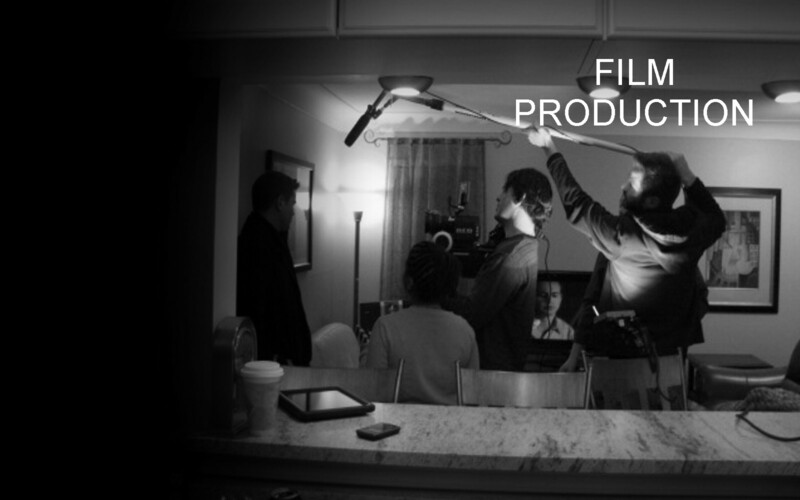 This will provide you with a tool for planning a film production and to give you an appreciation for the myriad of tasks associated with the creation of a movie. Your project won't necessarily require each of the steps described below. In fact, some projects can be quite straightforward and only require a few of these steps. That said, the success of your film project will largely be determined by the time and effort you invest during the planning stage. However--If you find it too daunting, let K&R manage your project. ♦ Develop the concept and Statement of Work. Define your business objectives, ideas, theme, and topic. ♦ Determine the story you're trying to tell (a treatment) and identify your audience. ♦ Decide on your form of distribution. On line, TV, radio, PDA, CD, DVD? ♦ Determine your budget. Compare the cost of a similar video program for perspective. ♦ Ensure that everyone is in agreement about the goals and requirements of the project. ♦ Create the storyboard (a scene by scene description) and script. Then make it more succinct as appropriate. ♦ Hold facilitated story planning meetings. Involve a range of people associated with the project to ensure relevant perspectives are heard. ♦ Obtain storyboard and script approval from appropriate parties. ♦ Create a timeline for completion with scheduled dates and places. ♦ Obtain necessary approvals from pertinent government authorities. Clear video project with appropriate department supervisor/office/department. ♦ Finalize locations and inform staff. ♦ Verify that the budget is adequate to complete the project. ♦ Coordinate grips, gaffers, lighting, power, set builds, etc. ♦ Reserve cameras and equipment, production staff, talent. Let everyone involved know what to expect. ♦ Note anything special you will need to bring during the shoot. ♦ Consider partnering with others if the video allows. Local schools may have kids that want to practice their video skills or a local TV station may have footage or equipment you could use. ♦ Check your budget for this video project again. ♦ Provide enough supplies to cover the filming. ♦ Gather all assets and make a DVD copy of "Dailies" for client to have for safe keeping. Let K&R take care of it all. This is what makes the movie take on realism. Street sounds, birds, rustling of cloths, crunches, bangs, booms, creaking, fight scenes, are just some of the parts of your movie that puts your action in reality. You might barley hear them, but they are there. Doing these is as much a performance as the actors in the film. At K&R we have the expertise to complete what you need. Give us a try. 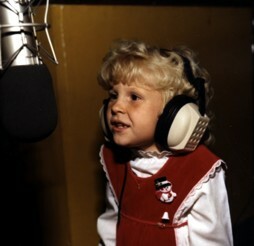 ADR is a technique for replacing or recording the sound that was not able to be recorded on the set. For example, if you are doing a scene in a noisy factory, and the sound you record is full of "Factory Noise" you need to replace the bad sound you recorded on set, with dialogue you recorded in our studio. OR if your actor is busy hanging off the side of a building when he is saying his lines, and getting good sound is kind of hard, you can add it in at K&R. Or how about lip sync language changes? Dr. Polaris our expert translator knows how to preserve the meaning and feeling of a scene and make the dialog fit. As far as I know there is no plug in for your PC. We have a special recording system that places an edit point at the beginning of the line of dialogue or sound effect location. Then the screen actor or Foley actor gets to watch the scene "as it was recorded filmed and Edited" to watch the timing of lips and objects. Then the scene gets played again, three sec. before the insert of Dialog or sound effect is to begin, the actor hears three beeps in their head-set as sort of a count down, on the last beep they say the line or make the sound effect. If it looks and sounds good, they move on to the next insert of dialogue or sound effect, if not, they do it again, and again. Typically whole scenes need this kind of professional and technical improvements. We will assume you have your picture edited and have dialog resolved. If not we can resolve your dialog into your picture. Our picture runs from within ProTools with Video sent to multiple screens. Picture files should be QT-Motion JPG files (*.mov) at 320x240 pixels or 640x480. 16x9 in a 4x3 is OK. We just need enough quality to see our cues and code burn in. Files over 500 MB should be delivered to K&R on a Windows compatible Hard Drive. There are free cloud services for larger files too. Also include META data. The Running TC should be visible preferably at the top of the screen, on the edge of the frame of picture. We can read VITC too and can jam sync our own TC that will lock to your TC. Guide tracks can either be included within the QT-mov picture files or sent separately. If sent separately please insure the presence of a corresponding TC and please observe the 500 MB rule above. K&R requires an EDL in Excel for each reel of picture. The TC in the EDLs should match. Please specify your ProTools session specs if you have one started: Session Start Time, Audio File Type (.wav, aif), Sample rate (96K, 48K, 44.1K), Bit rate (24, 16), TC Rate (23.976, 24,25,29.97 Non-Drop, 29.97 Drop 30, 30 Drop), Feet + Frame Rate (23.976 FPS, 24 FPS,25 FPS), Audio Frame rate, drop/non-drop/pull down, Video Frame Rate, drop/non-drop/pull down. Best settings ate 48K 24 bit. A snapshot of your extended ProTools session setup window is helpful too. If sending Foley notes, specifics, cue sheets or deliverable specs, please send the notes when you send the picture and guide elements. Foley notes can be cued via ProTools session or in PDF format, however we would prefer the notes written as an Excel *.exl document including the In and Out TC or footage of the specific effect to cover. But *.doc will do here too. All completed Foley sound design finishing mixing sessions are typically delivered as discrete tracks. We can produce a final mix in 2 Stereo RtLt/RoLo, 3.1 discrete, 5.1 discrete encoded to the correct LUFS. Completed sessions can be delivered via our ftp site or on CD or DVD. If using your ftp site please supply us with your ftp information or speak to someone at K&R to make suitable arrangements. We can also do your DCP encoding for direct theater release. For that we need the full resolution picture with specifications. The DCP folder can be returned to you any way you want. With many years of project management, music composition and performance experience, K&R and its partners will carefully listen to your musical vision and deliver an original score on time and within budget. The internet has allowed us to provide award winning composers from around the world to make your film score or jingle perfect. All done right here at K&R. K&R is the studio that launched one of the largest music houses in the US by providing just the right attention to details as needed. If you are interested in who is the best in film music writers check this American Film Institute link http://www.filmsite.org/afi100songs.html Let s call, they may be a K&R partner already. Need the memorable jingle? Or mood music for a film you are producing. K&R knows what it takes to make it happen. We have done work for Little Caesars, Dietrich Furs, Tubby's, Sears, and many independent film makers. Check our video gallery. Audio controls will go here. Just finished a recording for a producer in LA. It s a commercial for Rodeo Drive Tiffiny. Special effects are traditionally divided into the categories of digital visual effects and mechanical effects. "Digital Visual Effects" refers to digital post-production and "Special Effects" refers to on-set mechanical effects and in-camera optical effects. Here at K&R we have the latest in software and an operator to provide you with stunning finished digital visual effects and enhancements. Trick photography or computerized spaceships fall under the category of visual effects. Most often they work hand in hand with practical effects. A close up of a man getting shot in the face would require both. Muzzle blast, smoke and bullet entering are done using digital visual effects. When spliced to a gun discharge, it looks real. Animations, Video games, and motion graphics are a necessity in the commercial entertainment industry. This is cutting edge technology and every day new boundaries are set by creative minds. Here at K&R we are exploring these boundaries. Currently we are limited in what we can show because of copyright issues. As our library grows and we get permission to release samples, we will post them to our Video Gallery. We would like to talk to you about what you would like to do. Today, commercial theater surround sound has become a staple of home theater and is also starting to make its appearance in the automobile. Multi-channel audio has found it's way to digital television broadcast, into gaming consoles, and onto the Internet viastreaming codecs such as Windows Media Audio 9 Professional. Perhaps most importantly, the advent of high definition formats such as DVD-Audio and SA-CD Multi-channel allow the surround sound producer to distribute content without sonic compromise. It is fair to say that surround sound has finally come of age. Mixing is more than just adjusting the volume levels of individual sounds and dialog tracks. At K&R we have a specially tuned room that can show problems that may keep your mix from becoming that worldly hit. Mixing all the original tracks while correcting small issues eliminates the need for remixing. It saves money and makes a better overall release. In addition to volume levels, mixing engineers decide where each sound appears in the image field. There are left and right speakers, maybe center and rear speakers for surround sound. Proper positioning will improve the clarity of the mix. It helps individual parts stand out and balances the left and right channels. Typically we do a standard stereo Lo, Ro mix. We can mix to discrete 5.1. That is a Lf, Lr, Rf, Rr, Center, and Lfe for encoding. Or we can finish with a stereo LtRt mix encoded ready for Music CD, FM Radio, DVD and TV distibution. We will be happy to explain the options for playback systems. We will assume you have your picture edited and have a ProTools session started. If not we can resolve your dialog into your picture. Our picture runs from within ProTools with Video sent to multiple screens. Picture files should be QT Motion JPG files (*.mov) at 320x240 pixels or better 640x480. 16x9 in a 4x3 is OK. We just need enough quality to see our cues and TC burn in. Files over 500 MB should be delivered to K&R on DVD or BluRay or on a Windows compatible Hard Drive. There are free cloud services for larger files. Files can be sent via our KNR ftp site if necessary but we would prefer all files to be sent on DVDs as data files. Also include META data. The Running TC should be largely visible preferably at the top of the screen, on the edge of the frame of picture. We can read VITC too and can jam sync our own TC that will lock to your TC. Guide tracks can either be included within the QT-mov picture files or sent separately. If sent separately please insure the presence of a corresponding TC and please observe the 500 MB rule above. K&R requires an EDL in Excel for each reel of picture. The TC in the EDLs should match the ProTools Session TC. Please specify your ProTools session specs: Session Start Time, Audio File Type (.wav, aif), Sample rate (96K, 48K, 44.1K), Bit rate (24, 16), Time Code Rate (23.976, 24,25,29.97 Non-Drop, 29.97 Drop 30, 30 Drop), Feet + Frame Rate (23.976 FPS, 24 FPS,25 FPS), Audio Frame rate, drop/non-drop/pull down, Video Frame Rate, drop/non-drop/pull down. Best settings ate 48K 24 bit. A snapshot of your extended ProTools session setup window is helpful too. If sending Foley notes, specifics, cue sheets or deliverable specs, please send the notes when you send the picture and guide elements. Foley notes can be cued via ProTools session or in PDF format, however we would prefer the notes written as an Excel *.exl document including the In and Out TC or footage of the specific effect to cover. But *.doc will do here too. All completed Foley sound design sessions are typically delivered as ProTools Sessions. Completed sessions can be delivered via our ftp site or on CD or DVD. If using your ftp site please supply us with your ftp information or speak to someone at K&R to make suitable arrangements. We can produce a final mix in 2 Stereo RtLt/RoLo, 3.1 discrete, 5.1 discrete, 7.1 discrete as well as encoded to the correct LUFS. 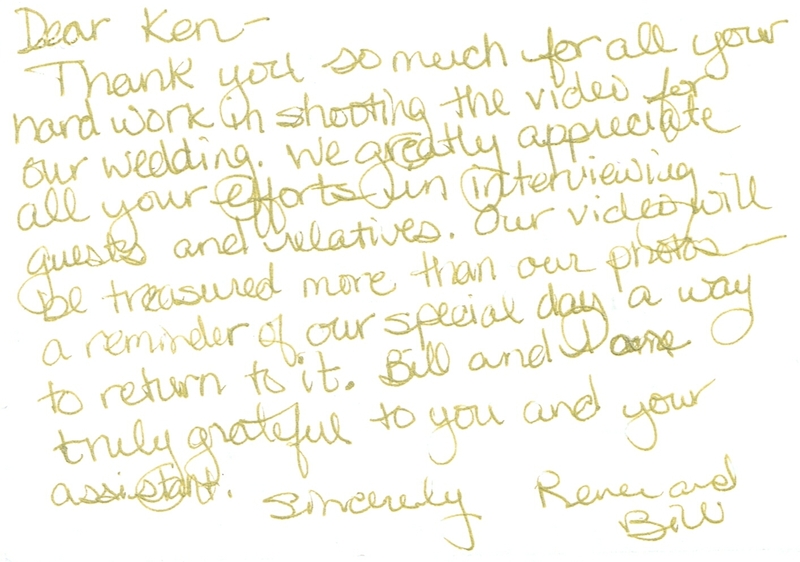 A dynamic video is the only way to capture the sights, sounds, and emotion of your special day. Your wedding day is the most important day of your life, and a quality video will allow you to relive that day--see and hear important friends and family members as they were on that day. 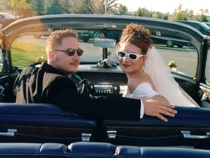 Your wedding day will be preserved to show to future friends and family, even children who would like to see the wedding day of two people who are so special to them. Photos alone can not capture the excitement, last minute preparations, your vows, the exchange of rings, tears, grandparents and friends talking, the joy, music and dancing. Videography is the only family historical documentation that uses sight and sound. HOW IMPORTANT IS IT TO HIRE A REAL PROFESSIONAL? Vitally important. Typically low priced wedding videographers use consumer equipment. By cutting costs and quality they can charge a lesser price. In exchange for a lower price, quality is sacrificed. A professional will use special RF (Radio Frequency) microphones which can eliminate background noise. A skilled professional will also have the means or knowledge to shoot and edit the program into a closely knit production that tells your love story with emotion and impact. You are paying for a professional. Why not have one? IS IT EXPENSIVE TO HIRE A PROFESSIONAL VIDEOGRAPHER? NO! On average, it should run less than ten percent of your total wedding budget, perhaps less than your flowers. Less than a band. And yet with the exception of your photographs, you're video is all you have after your wedding is over. It is the only sounds and motion pictures you will ever have of the most important day of your life. Your friends and family will be immortalized in this video. These moments are priceless. K&R pricing is based on options you select ala carte. These options alow you to design your own package to fit your budget and needs, likes and dislikes. WHAT PRE-PLANNING SHOULD BE DONE WITH MY VIDEOGRAPHER? First, inform the person in charge of the venue that you intend to have your wedding video taped. There may be restrictions with regard to the lighting and filming locations you need to be aware of. Next have us visit the locations in advance of the wedding. You'll sit down with your videographer and discuss the shots that are important to you. Tell them of the special scenes you want them to catch. Provide guidelines or an itinerary in writing. 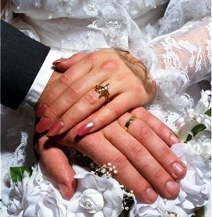 Include interviews, down the isle shots, possible locations for best view of ceremony, etc. Your input is essential so that we can get the very best shot for you. In addition, we will guide you, suggest shots we know are popular, and will work hard to be unobtrusive and still capture those memorable moments for you. DO I NEED TO SIGN A CONTRACT WITH MY VIDEOGRAPHER? Yes, you do. A contract spells out and clarifies the specifics of your arrangement with your videographer and eliminates confusion and misunderstanding. HOW MUCH TIME GOES INTO CREATING A GOOD VIDEO? 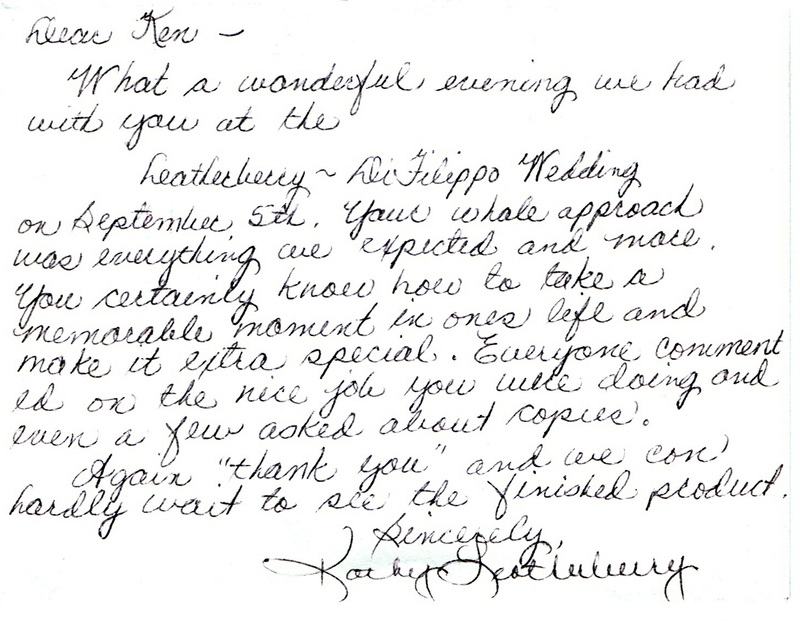 Typically a good wedding videographer puts 30 to 40 hours into a single video. This includes your initial sales meeting, visits to wedding and reception sites, shoot time, your sales meeting, editing, and equipment preparations. Excellence shows. You will get more than your money's worth when you hire an expert like K&R. Online Mastering Send Us Your Multi-Tracks. In addition to volume levels, mixing engineers decide where each instrument appears in the stereo image. There are left and right LoRo speakers, maybe center and rear speakers for 5.1 surround sound. Proper positioning will improve the clarity of the mix. It helps individual parts stand out and balances the left and right channels. Mixing is mastering. Layering multiple instruments on top of each other often produces a muddy sound. Engineers at K&R have the expertise to distinguish EQ highs, mids, lows, and everything in between, enabling the mix to sound clean. 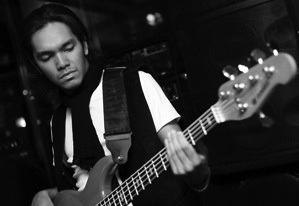 Each instrument occupies only its intended place in the song. Movie dialog and music vocals will be clean natural and heard. Musicians typically record with effects, but the vast majority of these only realize their potential after being processed during the mixing procedure. Always include a clean track from a direct conection before any signal processing. Things like compression, reverbs, delays, fuzz, WaWa, your amp, and many other effects are chosen and tweaked by the mixing engineer, who transforms what might otherwise be a dull or lifeless recording into something full and lush. K&R has a wide array of professional quality live and electronic effects processors and plug-ins to ensure a great mix. 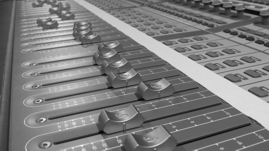 Mixing involves much more than simply setting the volume faders in one place and letting the song finish. Since different tracks need to be at the forefront of the song at various times, volume levels, panning, and other effects must be automated. Automation is the process by which a mixing engineer programs certain effects, fades and pans into different parts of the song. This can be a very specific and a complicated process, and requires the hands of a professional! 1. Save what you have done and make a stereo copy of your rough mix so we can hear what you have in mind. 2. Resave your project(s) in a new subdirectory with all files copied. 3. If you have MIDI tracks make sure the audio for each is recorded on a seperate audio track. 4. Do not put any effects on your original recordings. Make sure we have a clean direct input of each instrument. 5. Hide muted, unused, audio and MIDI tracks. Provide us with a track sheet and song order. 6. Check edit points to make sure they are clean with no clicks or discontinuity. 7. Remove all plug-ins and automation when you save for our copy. We have sophisticated plug-ins to make your recording sound great. 8. Provide us with a folder that has one sub directory per song. 9. Please export the project as an *.OMF or consolidate your files into one folder. Use zip to compress your files. Upload files here! 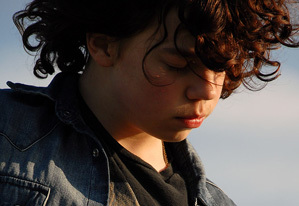 You've poured your heart and soul into your music or that sound track for your YouTube movie. It deserves that huge sound you've been dreaming about. The mastering engineers at K&R Digital Media Designs can give your music the booming lows and soaring highs your work needs to compete against the other releases out there. Every major label release is mastered to prepare it for radio play, web, TV and CD retail sale. Most often you record one song at a time, maybe done at different studios, at different times, resulting in songs that have different levels and have different EQs. A CD mastering engineer can unify your album with skillful use of EQ, gain, compression and other processes to give it a consistent sound from track to track. This process also allows the engineer to pump up the volume of your overall album so it's as hot as can be and sounds unbelievable. With mastering from the K&R All Media you can get the professional sound you want at a fraction of the cost. You'll get the same exact treatment that perfectionists such as Eminem (who graced my studio with D12), Kid Rock, and Jason Newsted of Metallica fame have done. A fresh pair of ears at K&R can be the difference between a good-sounding CD or film mix and a spectacular one. After all, you only have one chance to make your music sounds its best. The choice is yours. 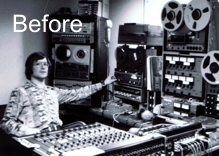 This is what Mastering will do for you. We're so confident that mastering can make a huge difference in the majority of recordings, that we are offering a FREE Mastering review - upon request - when you place a new CD replication order. We might find and suggest better ways for you to record and mix. Call us and we'll give you our honest helpful opinion with no sales pitch. Have you ever order something through the mail and when it arrived it was not what you expected? K&R removes that chance. Even if you have a favorite manufacturer, we will supervise your productions and quote you their prices. We also know what vendors deliver the quickest, provide the best quality and charge the fairest prices. Our comprehensive service can save you hundreds. Even if you have a favorite vendor, we supervise your project every step of the way ensuring perfection. Need them in a hurry? K&R is the best way to go. We have the CD and DVD duplicators with the ability to print your artwork and CD label in as little as one day. We offer packaging in DVD Cases, Jewel cases, Slim Jewel cases, Clamshell cases, paper envelopes, or Bulk, we have it all. 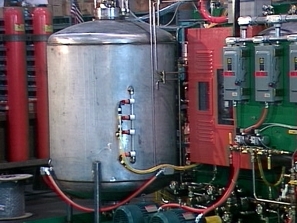 This process involves a large manufacturing company that we supervise every step of the way. Glass masters are made and the CD or DVD are pressed out. This could include screen printing with permanent inks. Because there are many more steps used in this commercial process, it takes from 7 working days to 14 working days to complete. There are more packaging options too. Poly Wrap, DVD Cases, Jewel cases, Slim Jewel cases, Clamshell cases, DIGI Packs, Eco Wallets, Jackets, DVD Cases, paper envelopes, or Bulk, we have it all. 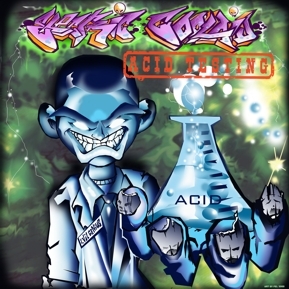 It goes to reason that if we did the artwork for your cover it's easy to make flyers, postcards, stickers, business cards, wristbands and posters. Also we can include QR codes that will provide your customers with direct downloads of your site information, YouTube video, or CD Baby posting. Ask us about how to get them for free. When it's time to promote your business, cover all the bases. Start by recording your music during live shows and at rehearsals on something as simple as a cassette in a boom box. It may reveal weaknesses in your arrangements and be a great quality checker. 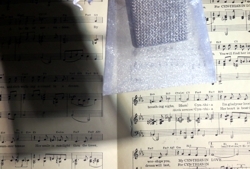 Have all the vocal parts worked out. If you plan on using a click track or sequencer, practice with the click track and sequencer. It may help tighten your performance if you practice with a slower tempo. Have more songs ready to go than you plan to put in your finished product. Be early. Your session starts when booked. If the studio is empty you may get a chance to get in and get comfortable and relaxed. Maybe get a free mic set up. Make sure you and engineer have the same goals in mind. Before booking the studio have a meeting with the engineer and bring samples of band mixes you like so he has a good vision of what you want. Make sure your instruments are in good shape. New strings and drum heads worked in a bit are the best. Think about how you might layer your instrumentations to tracks needed. Tell the engineer. It's nice to walk in and just start playing with no wasted time on technical studio interfacing issues. Emotion and feelings are what sell a song, not necessarily the way it was recorded. If you make a mistake, finish the recording. You can go back and fix that section with a puch-in. Maybe it can be fixed with a cut copy paste move done by the engineer. Record individual instruments without effects unless it is part of the instrument. Guitar pedals should be recorded direct with mic-ed amp, but take a direct out from the guitar to make a clean track just in case. Record the audio and MIDI tracks of synthesizers. If you have more than 2 audio outputs on your synth, use them to separate your sounds. Plan to double up some tracks like chorus parts. Keep friends and guests out of your recording because they become a distraction very fast. Know when to quit for the day. Stress shows in the recording. At the end of the session make a quick mix to take home and evaluate. Make sure you are getting fairly close to the sound you want. Fixing mistakes in the mix is much harder than getting it right now. Get a track list too. It may help in planning additional parts to record. Vocalists should bring tea and honey throat elixirs. And remember you can't spend too much time tuning your instruments! Listen to your music as how most of your fans will listen to it. Take a day before taking a second listen to the mix. You probably became adjusted to a way you like to listen to other bands. Play your mix the same way and see how it compares to the name acts you idolize. One important goal is that each instrument is to be heard comfortably and distinctly. Listen to the mix at low levels. It should have a similar tonality. Bring CD's of name acts you like with you to the studio and listen to them where you are going to do the mix. Appoint a person who will be the producer and the spokesperson for the group. That person will communicate with the engineer. 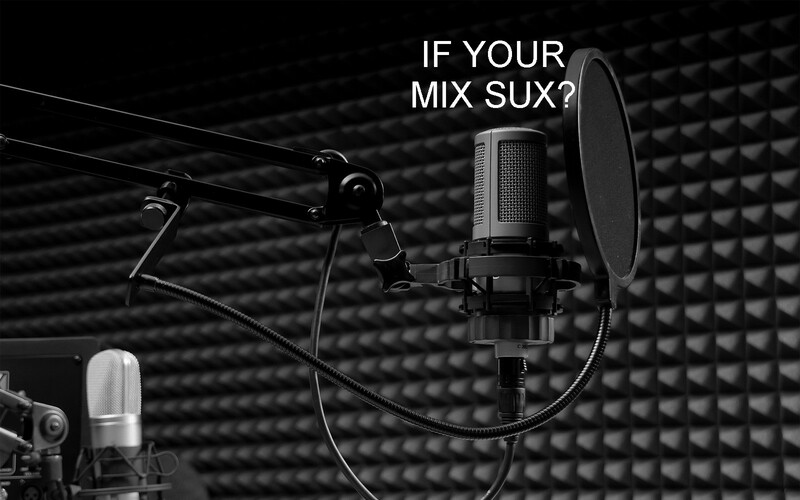 It's not good to have arguments on how your song will be mixed. Try to remain open to suggestions from the engineer since his ears are well accustomed to doing mixes. You may not hear it right there so take it home to be objective. Realize that the Final Mix is the product of the all the tools within the recording studio and not simply your own instruments. But realize also that taking your home recording project to the studio can be a smart move as well. There you will have access to an engineer who can enhance your recordings and mixes to a level superior to what you can produce at home. In the studio you'll find professional grade techniques and sound mixing tools. The studio also has a tuned room for consistency in obtaining a good mix. Your final mix should be copied in CDr format. At the studio other formats are available. Also, make sure you have a run off of the master tracks of the individual parts that comprise your mixes. You'll need this if you want to remix for TV, film and radio. These parts are usually stored on a hard drive at the studio you recorded in and may be erased in preparation for the studio's next project. Be certain that the engineer makes the master discs IBM/PC compatible, otherwise you're limiting your choices of studios for subsequent remixes. Afterwards, ask for extra copies of all the discs in case one gets damaged or lost. Sell your music worldwide by asking the engineer to convert all final mixes to MP3. Most upload sites require this format. Be prepared with what you need to promote yourself!!! In today's competitive world a promotional package is necessary. 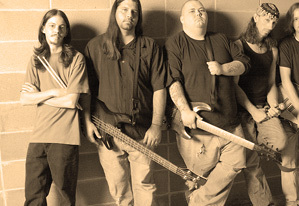 We offer bands a complete and tailored package to fit their needs and goals. First we work with you to figure out how you would like your project put together. Then we design a comprehensive plan keeping your goals in mind. This might include promotional printing and videos for your band, create and maintain the band's website and coordinate your social media presence. 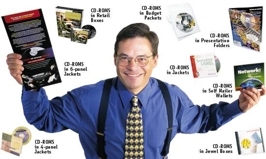 We'll then place your content on sites such as CD Baby. All our work is directed towards meeting the needs of your band promotions. K&R with it's team of experts functions like an advertising agency but under your direction. You know what sells your business. We help you visualize what sells your business so others know who you are. Clear and powerful communications is vital. K&R specializes in creating compelling industrial, commercial and retail media programs essential to your success. We add just the right amount of support to your promotional media program right where you need it. Our experts can offer innovative and effective suggestions you may never have thought of. At K&R we are focused on advanced presentation technologies to create Audio Video Products that sell for you, teach for you and motivate potential customers to buy from you. From concept to production, distribution and fulfillment, even staging and rentals, K&R has the equipment and creative talents to turn your business vision into a focused affordable promotional and educational presentation. Whether you have long term or immediate needs, we would like to introduce you to K&R All Media. Allow us to be a valuable asset to you now and in the future. 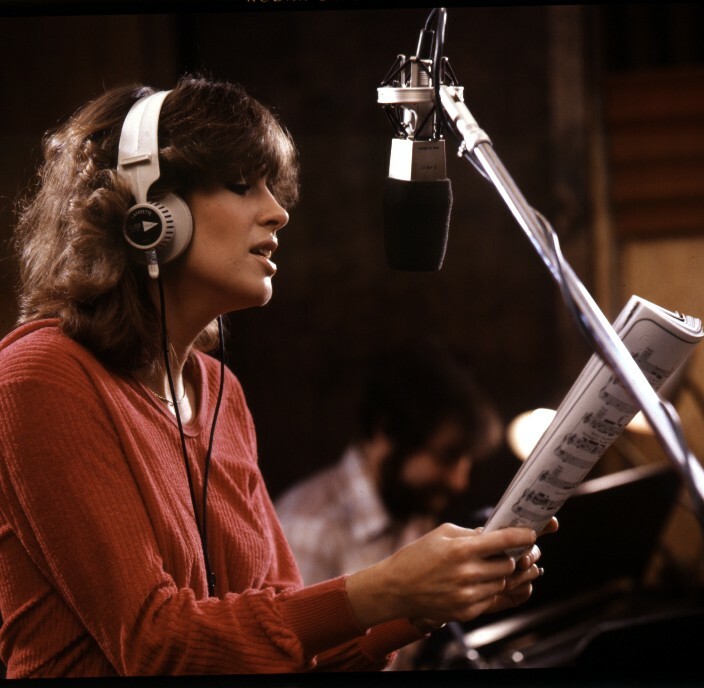 K&R has been in the recording business for more than 40 years. Our collection of vintage analog equipment and the latest HD digital equipment gives us the ability to copy old recordings on to any of several digital formats. 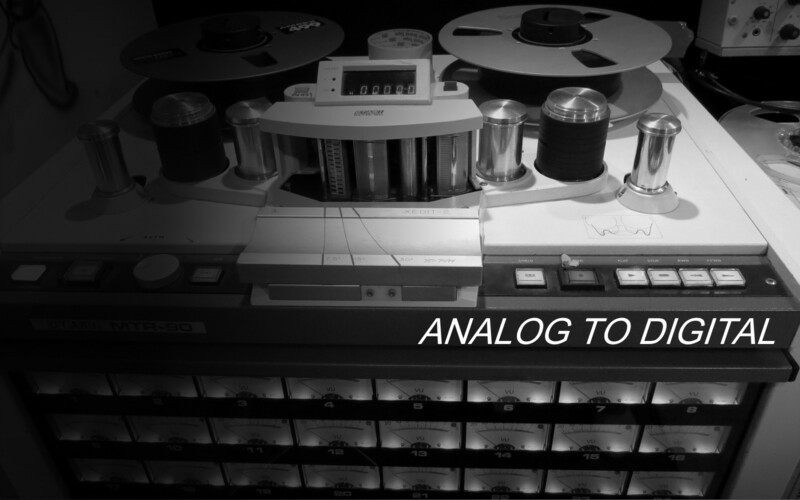 From wire recordings, analog tape with DBX or Dolby A/B/C, to any digital format and sample rates, we are experts at preserving vintage sounds. This would be more like our forensic services. After a transfer we can do allot to improve the tonal qualities and pictures of some pretty bad recordings. However if it is for a legal matter, let me direct you to our forensic web site for more information. My vita and case history are downloadable. A number of tapes manufactured in the mid 1970's to early 1980's are now emerging from storage for re-mixing and re-issue, often presenting us with considerable challenges. Vintage tape surfaces over years of storage loose lubricant through evaporation and may have become gummy and stick to the heads and fixed guides of the tape transport. This causes squealing, jerking, and, in extreme cases, slowing down or stopping altogether. This problem is common on almost all brands of tape, but is nearly always fixable--at least temporarily--by baking the tape to purge the last of the lubricant to the surface. Continuous use of a non-baked tape risks permanently damaging the tape, as oxide is torn off the tape. There is also a risk of damage to the player. A typical symptom is the tape sounding dull and distorted. Deterioration can happen to any tape, but the problem is more common with audio recording tape manufactured in the USA from the mid 1970's to the early 1980's. "How much does a video branding program cost?" When speaking to clients, we frequently discuss a familiar question: "How much does an audio/video branding program cost?" Really you should profit from this. However clients sometimes looks at us as if we're magicians. They expect me to pull a budget out of the air, our sleeve, or from behind their ear. The best response we've seen for this question is an analogy of the cost of a home. There are all types of homes, such as cottages, houses, and mansions. Each have many different budget considerations. Every audio or video program we produce starts at the same point, a beginning with nothing but a need. No two needs are the same. They may fall in similar realms like employee/customer training, grow new business, corporate identity, sales, or promotions; but they are never the same. It stands to reason that if the needs are never the same, their solutions won't be either. They may be similar, but never the same. A home has many factors, one or two car garage? How many stories? A full basement? Very much like a video program, we have to consider production options like, live talent or a simple voice over? Slides or real time video? Animation? Custom music? Etc.? There are seven basic criteria in an audio/video branding program; budget, production time, production style, talent, music, graphics and editing listed in the left column. Each criterion has been broken down into five classes 1 (basic) through 5 (advanced) represented across the columns. Decide which class you want each criteria to have. Then assign it the point value from the column it is in. Add the total points. Divide by the number of criteria used to define your program. Round to the nearest whole number. Check Classifications. This will tell you what your solution should be similar to. To return to that perplexing question, How much does a video program cost? If you choose something from every criterion except Budget, and divide by six, you will still get a class level with a corresponding budget. A class II program (industrial type) should run between $2,000 and $5,000. A reasonable average budget is about $1000 per finished minute, with a minimum of $1000. This should serve as a useful tool to arrive at a preliminary budget figure. If you let us help you put options together it will better plan your project to meet your objectives. If you need help planning an audio or video production, simply call us. K&R Can provide: Crew, Fish Pole, Muff, Senhiser MKH-416, Many Types of Lavalieres, iPad Movie Slate with WiFi camera sync, Horita, Zaxcom, Zoom-6 or HSP-82 and all cables to interconnect. We can resolve location sound for your pictures as well. K&R Can provide: Crew, Black Magic, 5D II with all the cables, Tripod. Items like the Red, Dolly, Jib Arms and Lighting, are available. This is to provide you with a tool for planning a video production and to give you an appreciation for the myriad of tasks associated with the creation of a video. Your project won't necessarily require each of the steps described below. In fact, some projects can be quite straightforward and only require minimal work. That said, the success of your video project will largely be determined by the effort you invest into planning your project. However! If you find it too daunting, let K&R manage your project. That is what we do. ♦ Determine the story you're trying to tell (a treatment)and identify your audience. ♦ Decide your form of distribution. On line, TV, radio, PDA, CD, DVD? ♦ Hold facilitated story planning meetings. Involve a range of people associated with the project to ensure all relevant perspectives are heard. ♦ Obtaine necessary approvals from pertinent government authorities. Clear video project with appropriate department supervisor/office/city. ♦ Gather all assets and make copy for client to have for safe keeping. It's In The Can...Now What? This is to provide you with a tool for finishing a video production and to give you an appreciation for the myriad of tasks associated with the finalization of a video. Your project may not require each of the steps described below. However! If you find it daunting, let K&R manage your project. ♦ Verify you have all release forms signed and permission to use all content. ♦ Organize and label video assets (video, audio, graphics) and load it into the K&R editing computer. ♦ Check budget for over runs. ♦ Create graphics, special effects and animations to support the flow of the story board. ♦ Check for the need to correct audio mistakes in the K&R ADR (Automatic Dialog Replacement) room? ♦ Edit footage to story board. ♦ Verify proper budgeting for over runs, language changes, Foley (sound effects), 5.1 Sound Mix, and New Music. ♦ Edit footage if needed. Add sound effects, new music and mix audio 5.1 Dolby Surround. ♦ Create and run first draft by appropriate parties. ♦ Re-Edit footage if needed. Fix sound effects, new music and re-mix if needed. ♦ Obtain final draft approval. ♦ Export video final master in multiple HD versions. Make a DVD master copy ready for Authoring. ♦ Write metadata description and captions (needed for 508 compliance). ♦ Let K&R post to media as needed (YouTube, your web page, etc.) and check links. However! If you find it daunting, let K&R manage your project. A DVD offers high quality audio and video, is interactive and can contain multiple video and audio tracks, and subtitles. A DVD is useful for many types of projects, including feature films, music video compilations, educational tools, exhibitions, presentations, and show reels. A DVD could include a slideshow, stills gallery, a simple game, Web links or interactive ROM content. If you need subtitles or a 5.1 mix included, these can be added through K&R authoring. Chances are you've been working with K&R to create your project with the aim of making a DVD with the features you need. You might choose simple features such as automated chapters at automated intervals, or it could be a complex production with multiple menus, custom buttons, information, menu links, artwork for your menus, motion menus and the like. Authoring is the process of designing the user interface. Understanding your audience is essential; since it allows you to determine the level of complexity they may or may not need. For complicated situations, it is best you call us to determine your needs and how we can accomplish them--our extensive experience can provide excellent insight. We have software and hardware designed to expedite certain combinations of popular features. We can accept masters on any standard format. Be certain to make a safety copy for yourself before sending us the original. Please do not use gummed labels. Allow adequate time for authoring, duplication or replication, and be aware that the amount of content and functionality will impact the time to create the authored master DVD. Copy protection is an effective "speed bump" to prevent users from stealing its content. There are options for both pressed DVDs and DVD recordable. Region coding can only be applied to pressed DVDs. Remember, K&R can provide this service. Have you ever ordered something through the mail only to discover it was not what you expected? At K&R we eliminate that risk because we supervise your project start to finish. Also we know what vendors deliver the quickest, with the best and fairest price. It might be important if you can get the same product at a lower price, it could save you hundreds. Even if you have a favorite manufacturer, we will supervise your productions ensuring everything is done perfectly. Need your product in a hurry? K&R is the best way to go. We have the DVD duplicators with the ability to print out your artwork in as little as 1 day. We offer packaging in DVD Cases, Jewel cases, Slim Jewel cases, Clamshell cases, paper envelopes, or Bulk. We have it all! K&R will help you every step of the way. For this type of production we use Glass mastering screen print on disc, offset printing inserts and poly wrap. Packaging can be in DVD Cases, Jewel cases, Slim Jewel cases, Clamshell cases, paper envelopes, or Bulk and takes as little as 7 working days. It goes to reason that if we did the artwork for your cover it is easy to make flyers, postcards, stickers, business cards, wristbands and posters. Also we can include QR codes that will provide your customers with direct downloads of your site information, YouTube video, or posting. Ask us about how to get them for free. When you promote your business, cover all the bases. The best way to learn about the intricacies of the recording arts and the field of audio engineering is through hands-on study in a real recording studio. At Michigan Recording Arts Institute and Technologies, you can train with state-of-the-art equipment and expert instruction. Of all the studios in Michigan, we are unique in that we offer actual hands on experience in engineering and studio techniques. Whether you're going into music recording or any sound related field, this is the place you need to be.